Fireworks at Lyndon Saddle Club arena. File photo. 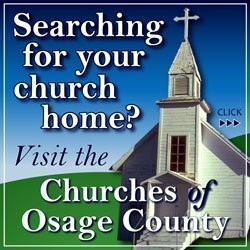 Osage Nursing Center will have a celebration on July 3 to celebrate Independence Day. The public and residents are invited to enjoy activities, food, games, music, and fun for the whole family. 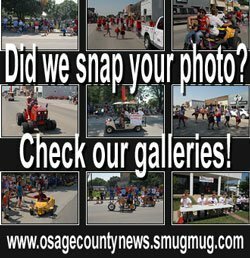 The celebration will be 6-10 p.m. Tuesday, July 3, at Osage Nursing Center, 1017 Main St., Osage City. Lyndon Fourth of July Celebration features a day of fun activities, with a spectacular fireworks show as the finale. The day begins with a pancake feed 7:30-9:30 a.m. at Lyndon Community Center; hosted by Lyndon Lions Club. At 10:30 a.m., a patriotic parade will travel down Topeka Avenue to City Park. The parade is open to all, including bicycles, horse-drawn wagons, cars, tractors and others. At 11:30 a.m. until 2 p.m. will be a community picnic. Lunch is available for purchase from the Masons, or bring your own family’s picnic lunch. Free watermelon will be available 11:30 a.m.-1 p.m., while it lasts. 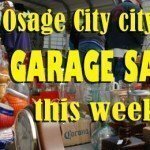 Games with prizes will be held 11:45 a.m-2 p.m., while free swimming will be available at the Lyndon Pool 1-6 p.m. At sundown, a fireworks show hosted by Osage County Fire District No. 5 will be at the Lyndon Saddle Club arena on the north side of town. Plenty of parking is available at the arena, or the show can be seen from the surrounding area. Bring lawn chairs and have a tailgate party. Annual Overbrook 4th of July Celebration, Wednesday, July 4, 2018, at City Lake. The celebration begins at 10:30 a.m. with the children’s bike parade; participants should meet at the old middle school. The city pool will be open for free swimming at 1 p.m. Free hot dogs and drinks begins at 6 p.m. at City Lake; everyone is asked to bring a plate of treats to share. At dusk will be the fireworks display; everyone is encouraged to bring chairs, blankets, friends, and family for one of the best fireworks displays around. Handicap parking and accessibility is available by the tennis courts. All others are asked to park at the ball diamonds, the old middle school parking lot, or along city streets. At historic Arvonia, everyone is invited to bring a picnic for their family before gathering at 7 p.m. to enjoy ice cream provided by the Arvonia Historical Preservation Society. Following ice cream will be family games and other fun, and at dark will be a family-sized backyard fireworks show by AHPS. (No other fireworks allowed.) Grab your family, neighbors and friends and make sure everyone has a lawn chair, and join in some free, old-fashioned Fourth of July fun at Arvonia. The Fourth of July fun kicks off Saturday, June 30, at Pomona State Park, where the park’s friends have planned for an afternoon and evening of family fun. A beach party and family competition will begin at 3 p.m. with a photo scavenger hunt (bring your own cell phone or camera). Registration for games will be at the beach shelterhouse. Participants can register as a family or group of friends. Other games will be held on the swimming beach 4-6 p.m. Everyone is encouraged to bring lawn chairs or blankets and spend the afternoon, swimming, playing games, lounging and visiting. Ice cream treats and drinks will be available for sale. Fireworks will begin at dark, and any place on the east side of the park offers good views of the fireworks display, particularly the Kansa, Red Oak, Osage, and Bunkers Cove campgrounds. Also, the park’s disc golf course is a recommended viewing spot. 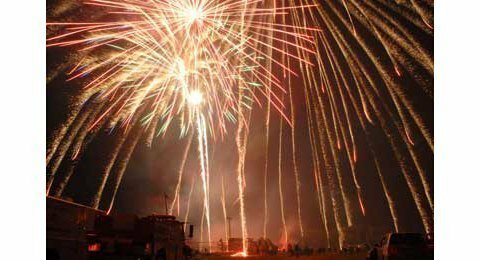 As a finale to the Osage County Fair, the Osage City Chamber of Commerce is hosting a community celebration and fireworks show on Sunday, July 1. The celebration begins early Sunday at 8 a.m. with a youth fishing tournament at Huffman Park, and also a worship service at Fredrickson 4-H Arena at Jones Park. In the afternoon at 2 p.m., a disc golf tournament gets underway at the ball diamond in Jones Park. At 3 p.m. will be a community choir concert at the Presbyterian church. Around 6 p.m., bounce play sets will be by basketball court, along with a number of food vendors near the 4-H building and the community building. At 7 p.m., the pie and ice cream social will begin in the community building, along with a free watermelon feed. Also, carnival games and a bean bag toss will be set up in the parking lot, and 25-cent bingo and other games will begin at the community building. From 6-9 p.m., the band “The Tweed Tones” will be outside the Fredrickson Arena. At 9 p.m., patriotic music will begin at the football stadium, followed by the fireworks display at 10 p.m. Anywhere in Jones Park or surrounding area is recommended as suitable viewing spots.